Photo: Coach Yvonne Grimes (right) presented Hannah Kelm (left) with an award: BHS Track & Field T.J. Burke Memorial Athletic Scholarship for Excellence in Track & Field 2017. Kelm is planning on attending Central Connecticut State University in New Britain, CT. 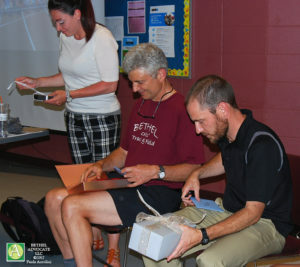 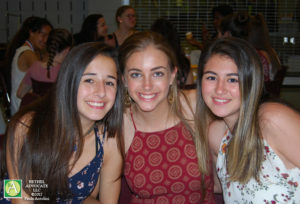 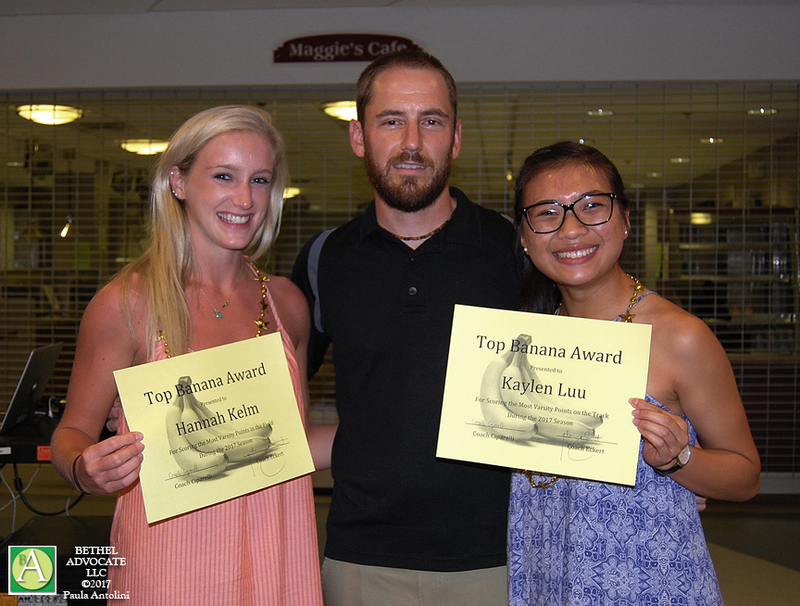 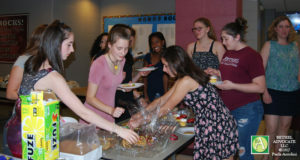 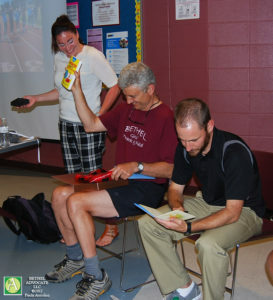 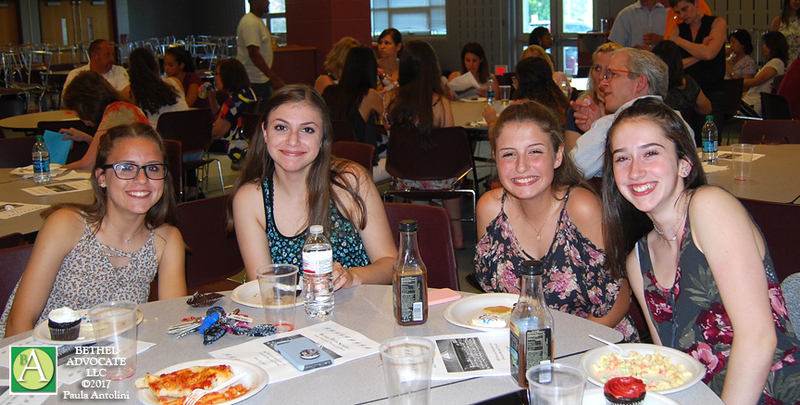 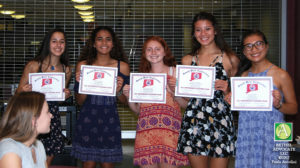 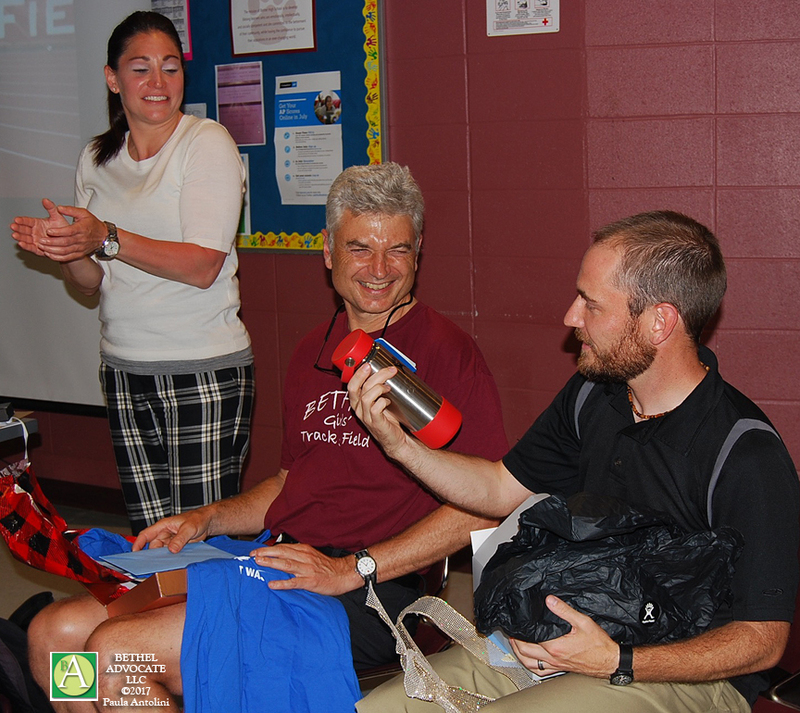 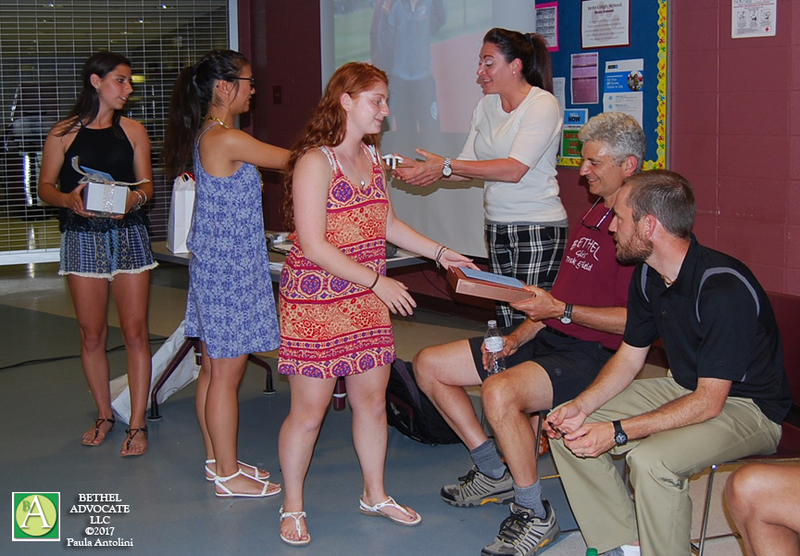 Excitement was in the air as the Bethel High School (BHS) Girls’ Outdoor Track Team Awards Banquet and dinner buffet began on June 12, 2017 at 5:30 p.m. in the cafeteria, with students, coaches and parents attending, as awards were about to be given to students. 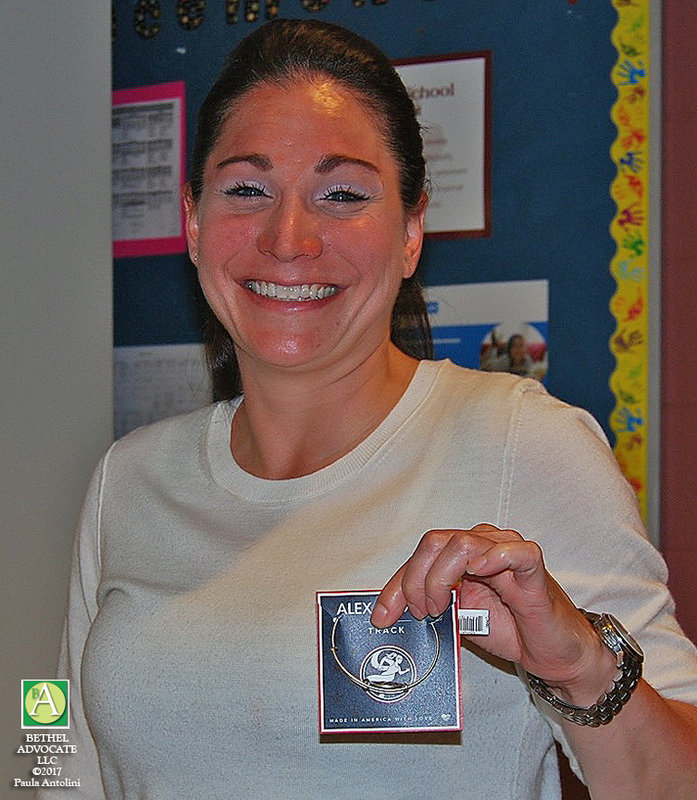 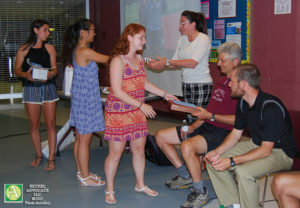 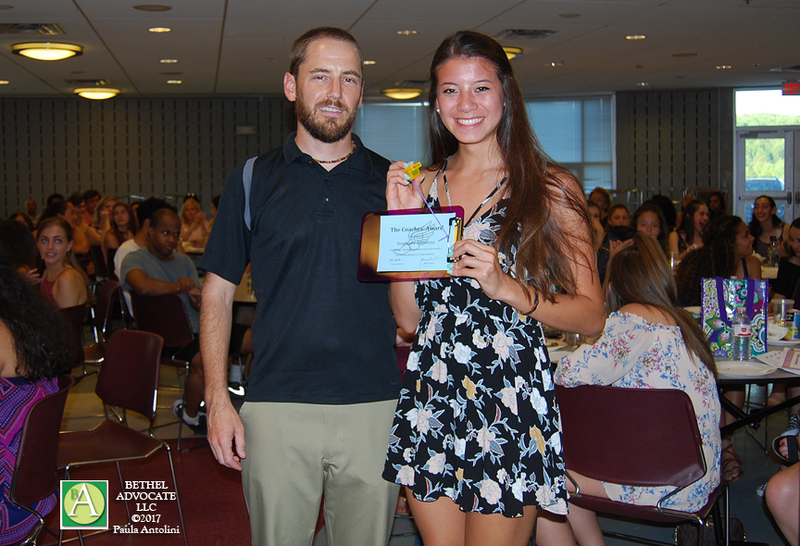 Coach Christopher Ciperelli presented award certificates, varsity letters and pins to students who earned 10 points in team competitions or qualified for South West Conference Championships (SWC) or CT State’s Championships. 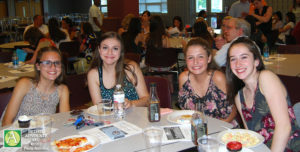 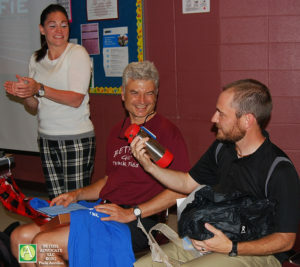 SWC was held in New Milford, CT this year and State’s was held in New Britain. 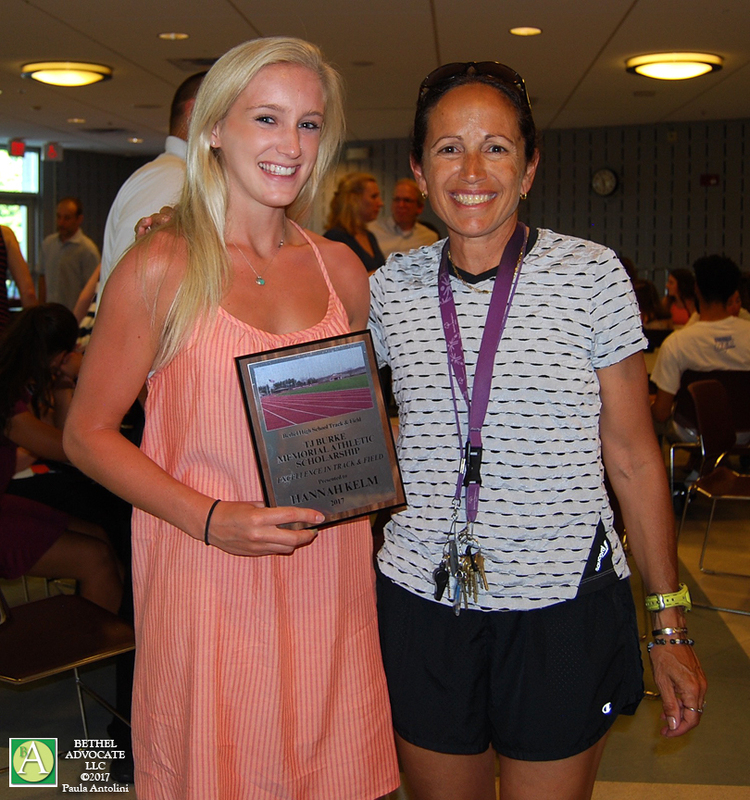 Coach Yvonne Grimes presented Hannah Kelm with the BHS Track & Field T.J. Burke Memorial Athletic Scholarship for Excellence in Track & Field 2017. 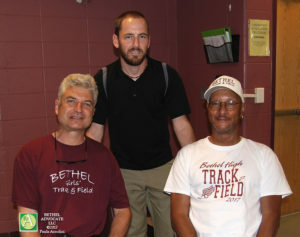 Kelm is planning on attending Central Connecticut State University in New Britain, CT.
Bethel ended the season 9-4. 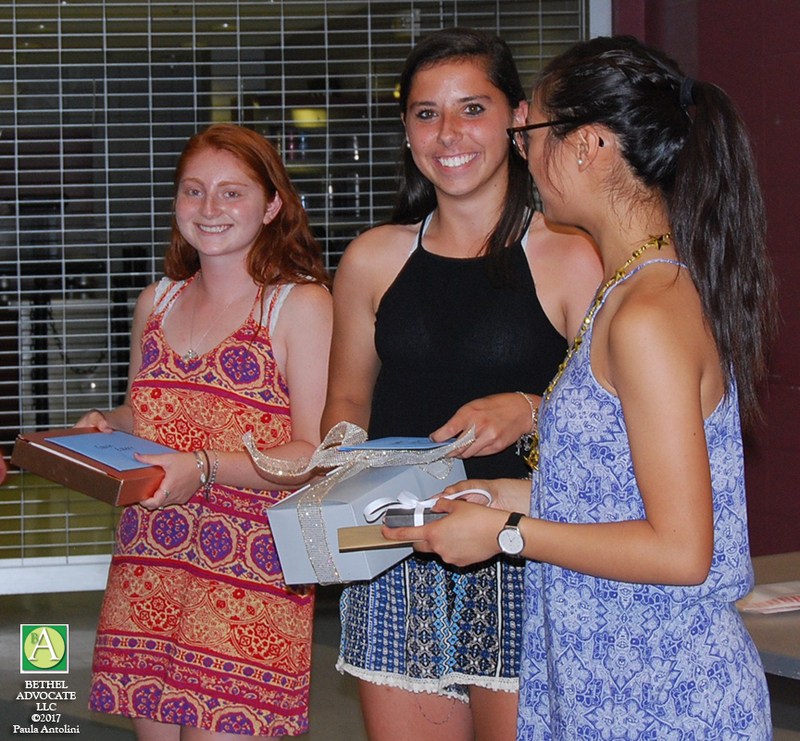 Girls’ Track Team Captains Arielle Rosenthal, Sarah Mello and Kaylen Luu presented Coach Ciparelli, Coach Eckert and Coach Garrone with gifts including an engraved track baton and engraved hydro flask for Ciparelli, a book of jokesand humorous T-shirt for Eckert and Garrone a bracelet. View full list of awards below. 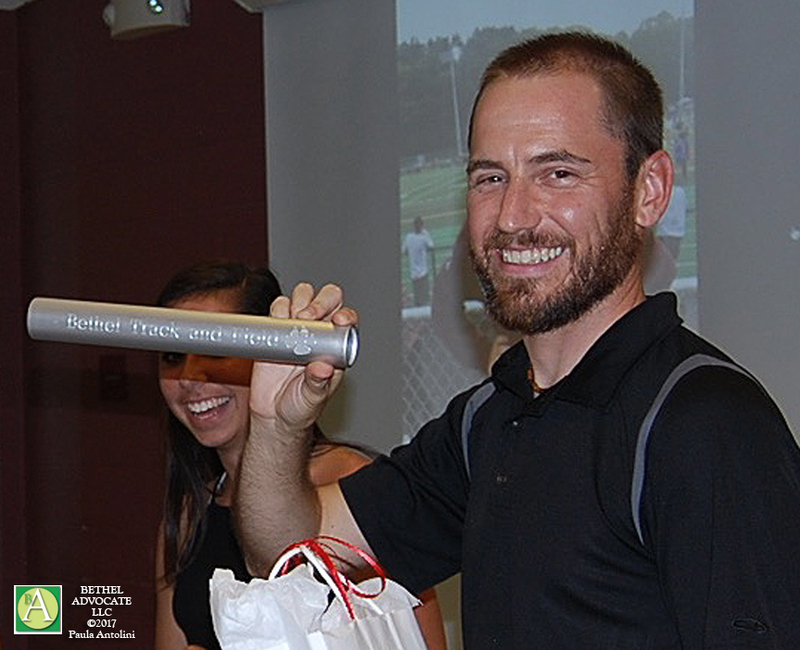 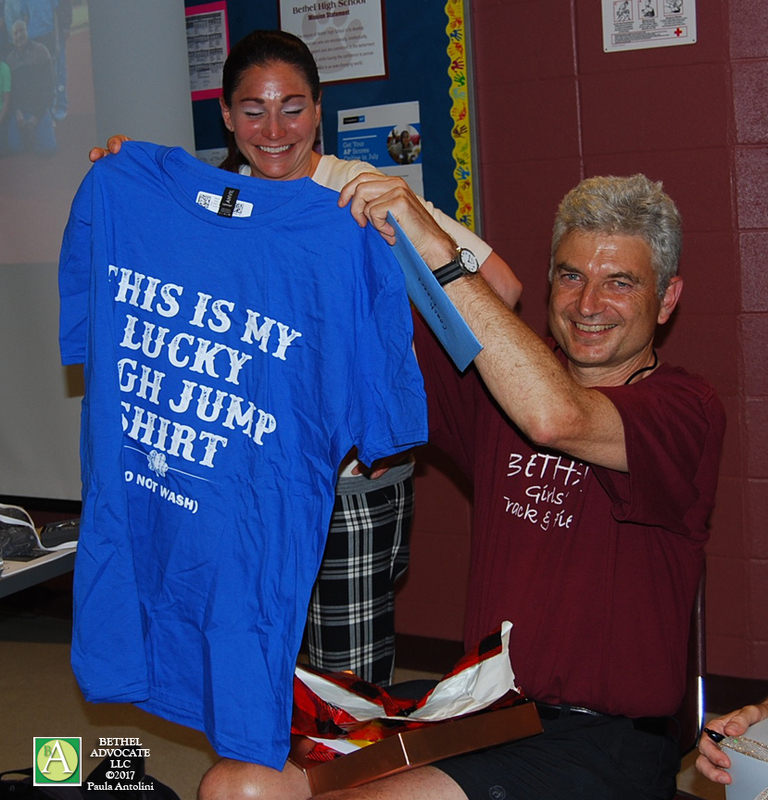 Coach Ciparelli made a surprising announcement at the end of the event that he will no longer be the BHS Girls’ Track Team coach. 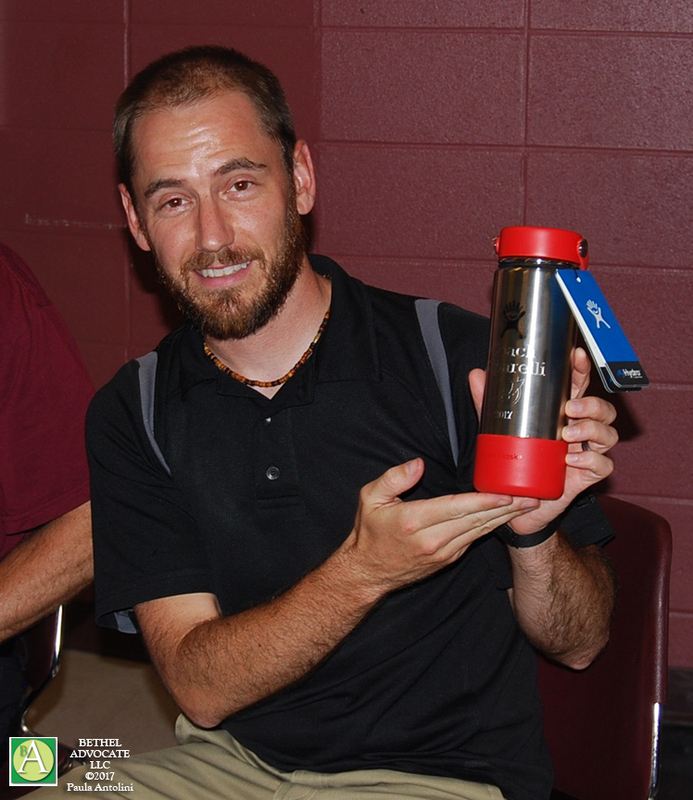 He said, “This will be my final season as the Girls’ Track coach. It is with a heavy heart and only after much thought that I have decided to do what is best for my family and give up the position. 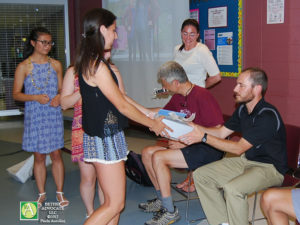 Mr. Caron will post the position tomorrow and I am confident that we can find a coach that will continue the tradition of success that we celebrated this evening.” Ciparelli will continue to teach Modern World History and AP European History at BHS, and also enjoy his 3 year old daughter and twin 1 1/2 year old toddlers with his wife. 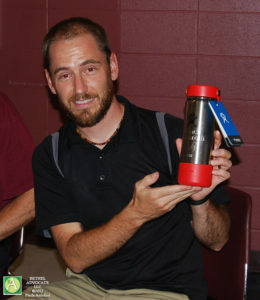 Click on each photo to view larger.